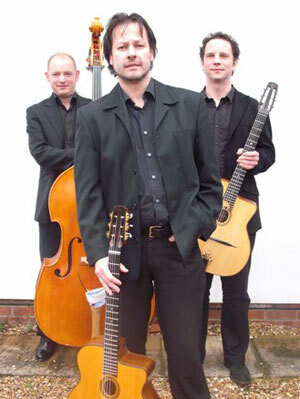 Dynamic trio comprising of 2 gypsy guitars & double bass - perfect for any occasion for dancing or background music. Instrumental or with a superb singer. 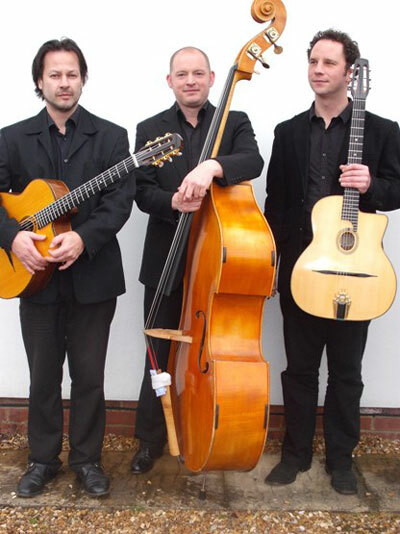 This dynamic trio comprising of two gypsy guitars and double bass are perfect for any occasion whether as an up-front, dancing-catalyst or as beautiful background music to your day’s event. 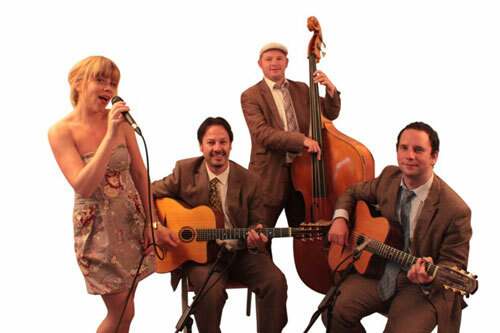 Conjuring up romantic European nights and vintage-themed days with their infectious rhythms and extensive repertoire of gypsy swing, latin, jazz and ballads. 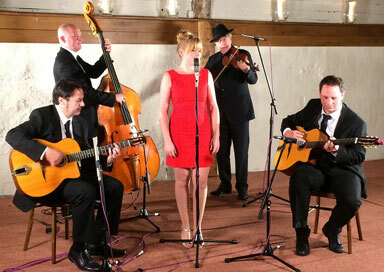 The Trio can be augmented with the addition of female vocals (see video) or violin, accordion or clarinet to create the perfect soundscape for weddings, private functions and corporate events. They are available for most areas in England and even abroad with recent bookings at such diverse locations as Morocco and the Isle of Sark! 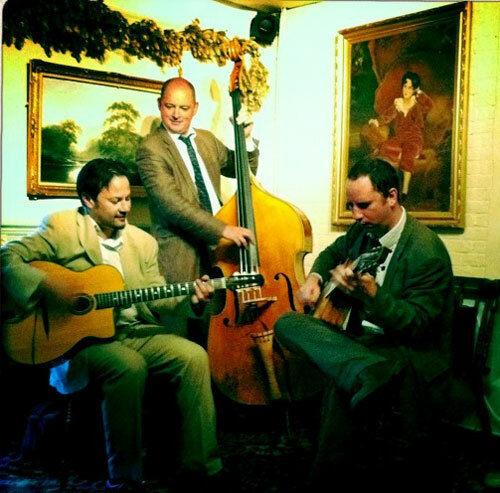 With an enviable client list that includes Sir Paul McCartney, Roman Abramovich and Sir Terence Conran, you can be assured of top-quality music and professionalism no matter what size or type of event.